Australia is one of the most popular destinations in the world for international students who wish to study English and some of the countries best cities, including Sydney, Melbourne and Brisbane, offer a high quality of life, cultural diversity, and friendly atmospheres. 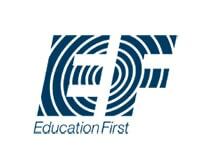 Australian English language schools in turn provide high quality education and value for money. 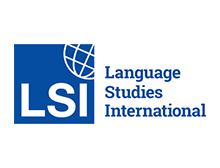 Explore Australia’s most popular study destinations below and apply with SI-English today. We will guarantee you an offer from an Australian English school within 24 hours! With friendly locals and an abundance of natural beauty, it is easy to see why international students fall in love with Australia. Australia is a safe place to live, has a lower cost of living than many other English speaking nations, and offers the perfect opportunity to combine studying English and travel with its great weather, beautiful beaches and relaxed way of life. Can I work as a student in Australia? While studying in Australia, students can work up to 20 hours per week during term time. During nationally recognised school vacations, there is no limit on the number of hours an international student can work. Remember you can only begin working after your course has started and you are fully enrolled. SI-English will help you apply to study in Australia by filling in, submitting and tracking your application from start to finish. We will then guarantee you an offer letter from an Australian language school. Where can I study English in Australia? Learn more about some of the great cities and language schools in Australia below. Home to the world famous Opera House, fantastic beaches and a variety of galleries and museums, Sydney is an eye catching city full of famous landmarks and stunning scenery. In-between classes, why not visit Bondi Beach, The Rocks, Sydney Harbour Bridge, or pet a koala at Sydney's Taronga Zoo? 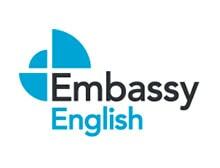 Embassy English Sydney offer a wide range of English language course including General English, Business English and IELTS exam preparation. 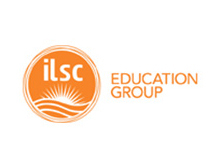 The ILSC-Sydney campus is conveniently located in the Central Business District, close to train and bus routes and many amazing sites. Having won awards for being the world's friendliest and most liveable city, as well as being Australia's leading student city, Melbourne is the perfect home for young international learners. There are over 60,000 international students living in Melbourne, and it's easy to see why more come here every year. Embassy English Melbourne's modern school has bright class-rooms and teachers who love to use their knowledge to help you improve. Offering a wide range of courses to choose from, SACE Melbourne aims to help you communicate in English as quickly and efficiently as possible. 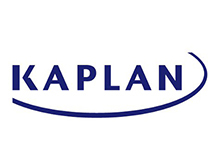 Kaplan Melbourne offers you the chance to study and stay in one of the world's most liveable cities. Learn English in Melbourne and feel at home. Brisbane's climate, culture and natural beauty make it an idyllic place to live and learn. Whether students wish to relax, socialise or go on adventures, the Gold Coast is an underrated gem for students looking for something different. Brisbane boasts many cultural highlights including the Queensland Museum, Queensland Art Gallery and Australia's largest Gallery of Modern Art, QAGOMA. EF Brisbane's Art Deco English school is at the crossroads of student-friendly Westend and Southbank neighbourhoods. If an outdoor lifestyle and award-winning teaching are at the top of your list, why not choose Embassy English Brisbane? LSI Brisbane facilities include air-conditioned classrooms, a student lounge, computer room with free internet access and a learning centre. Looking to study elsewhere in Australia? Adelaide and Perth are two more fantastic Australian cities featuring the very best English language schools. In 2016, Perth was ranked one of the top 10 most liveable cities in the world by the Economist Intelligence Unit, while Byron Bay and the Sunshine Coast offer an alternative to big city life. 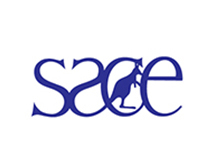 A member of the International Association of Language Colleges, SACE Adelaide is also a recognised Teacher Training Centre. 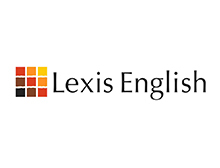 Lexis English Perth provides high quality language courses, including Cambridge Preparation, IELTS, and General English. At Embassy English Surfers Paradise on the Gold Coast, it's easy to get the balance right-study hard, then have fun!